I’m finally back home after a rather harrowing Christmas pillgramage out to visit John’s family in Alberta and I couldn’t be happier. Over a week with no internet access? Brutal road conditions that resulted in an 18 hour drive home? Stuffing my face with every fatty, sugary concoction known to Christmas and washing it down with fatty, sugary Bailey’s? Yeah, you could say I’m happy to be home. It was great to see everyone, of course, but the problem with living so far away from family is that these kind of visits have to be. so. long. I’d love to be able to get together with J’s parents and grandma every weekend for dinner. Visiting for a few hours, then returning to my personal space = happy happy. Trying to cram a year’s worth of visiting into a week just isn’t natural! I know that sounds horrible, but hopefully my fellow introverts understand where I’m coming from: I *need* my personal space, my private quiet time to create, without feeling the obligation to be social. My morning routine consists of snuggling with the puppies, making coffee, then eating cereal while checking my mail and reading blogs. I need a solid half an hour of this private time to really wake up. Until then? Please don’t talk to me. Seriously. You’ve been warned. When you’re a guest in someone else’s home, obviously you don’t have the luxury of your own morning routine. There’s some kind of weird guilt/shame applied to whoever sleeps in the latest. The early bird wins the prize of drinking 4 or 5 extra cups of coffee and getting a jump start on watching the weather channel, apparently. I was not a winner. 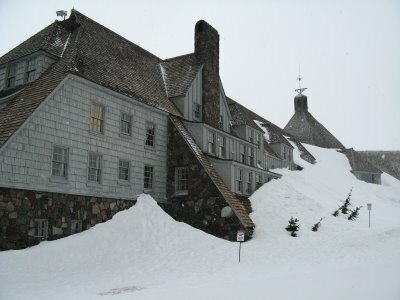 After an unsuccessful 2 hours of trying to check my email via the Safeway Starbucks wireless connection, I was starting to empathize with The Overlook caretaker. When I realized that installing iTunes on my laptop had buggered the video codec so I couldn’t play the Project Runway DVDs I’d packed AND I couldn’t download anything from iTunes due to the lack of net access, Jack began to look downright sane. I did get some painting in while I was there, inspired by the amazing art dolls by Loopy Boopy. And now that we’re home, but still totally snowed in, I’m looking forward to doing a lot more painting. And watching Project Runway while eating cereal. welcome back! 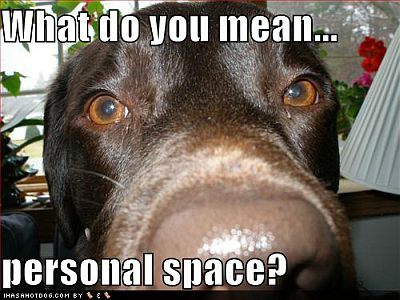 i totally, totally feel your pain about personal space and other people’s schedules. can’t wait to see your new work! I know how you feel, I tend to avoid get-togethers because I just want to be left alone.